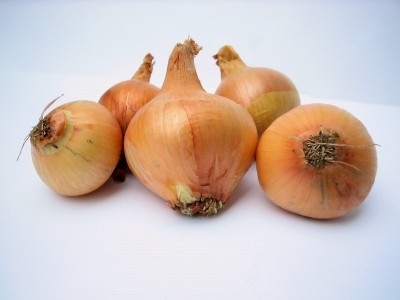 Do you want to learn how to make onion powder? So easy to make and makes a good dish even better. If you want to SAVE MONEY and have great tasting food - you must check out my homemade recipe. I also have instructions to make homemade garlic powder that you can use right now. Chop the amount of onion you want to dry, then spread evenly on a baking sheet and place in a 150 degree oven. Of course, a food dehydrator is perfect for this. The onions are dry and ready when you can easily crumble them in your hand. Allow to cool and then grind in a food processor, mortar and pestle, spice mill or coffee grinder until you reach the desired consistency your looking for. Store in an airtight container in a cool and dry place, or freeze for long-time storage. ...Cooking and Baking Tips too! I promise to use it only to send you The Frugal Foodie . Over 150 Homemade Condiments - Download My First eCollection here. PREHEAT oven to 400 degrees. Grease or use paper lined muffin tin; set aside. In a large bowl, combine the flour, sugar, baking powder and salt. Combine eggs, milk, oil and strawberry extract. Stir into the dry ingredients and mix JUST until incorporated (there will be lumps). Fold in quartered strawberries. Spoon into greased muffin tins and sprinkle tops lightly with white sugar. Bake for 18 to 20 minutes or until golden brown. Sprinkle lightly with powdered sugar and top with a dollop of cream cheese frosting. Nestle a halved strawberry on top and smile. You just created a "good thing."